Steve Pease is President of Deucalion Securities, a management and investment firm formed in 1980 to provide “turnaround CEO” services to troubled companies. In 1987, he also formed Deucalion Venture Partners, a venture capital firm. He is author of two books: The Golden Age of Jewish Achievement, and The Debate Over Jewish Achievement. He is the Chairman of The U.S. Russia Investment Fund, a director of the Russian Center for Entrepreneurship, and previous co-Chairman of the U.S. Russia Foundation. All three organizations arose from a $330 million U.S. Government grant to encourage free enterprise in Russia following the breakup of the Soviet Union. His career began in 1967 as a management consultant with Cresap, McCormick & Paget (now part of Towers Perrin). There, he worked on a wide range of consulting engagements for public and private clients in the U.S. and abroad. Three years later, he joined Arcata National, a Fortune 500 company where he headed corporate planning. In the years since he has served as CEO of seven public and private companies. He also served as Vice Chair of Sovfinamtrans (SFAT), a Russian rail transport company created in partnership with the Russian Ministry of Rails and Ministry of Petrochemicals. He served on the Board of the Sonoma Valley Fund, was lead author of the SVF Youth Initiative Report, Co-Chaired the Sonoma Valley Healthcare Coalition, and served on committees to help preserve Sonoma’s endangered hospital. He led efforts to help save Sonoma’s historic single screen Sebastiani theater, and was a founding director of the Osher Lifelong Learning Program at Sonoma State University. 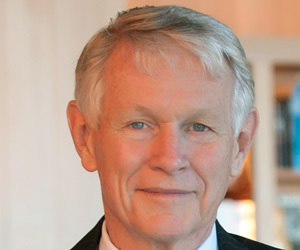 A 1965 Phi Beta Kappa graduate of the University of Washington, and Harvard Business School in 1967, Mr. Pease lives with his wife, Joyce, in Sonoma, California.